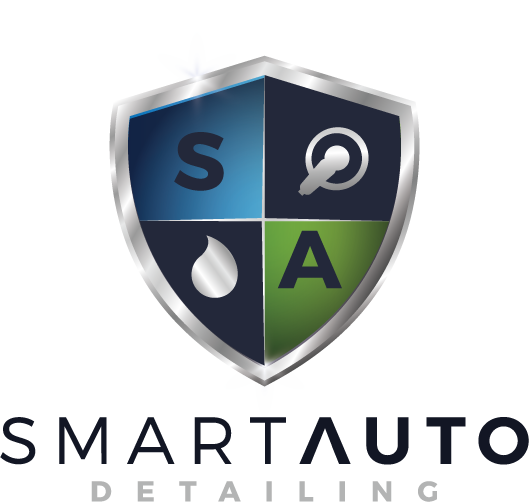 Here at Smart Auto Detailing we love cars. When you entrust us with your vehicle, you can be confident that it will receive the same professional care and attention we put into our own. With over 40 years of combine experience our expert staff uses the most advanced treatments, techniques, and equipment to get every surface of your vehicle looking its best. We offer several services and packages with one sure to fit your needs and budget. If you love your car, boat, motorcycle or RV, call and get it looking its best: Call to schedule an appointment today! A fairly common problem that arises with modern headlights is cloudy, dull, oxidized lenses. This not only looks bad, but is also reduces the amount of light coming from your headlamps, making harder for you to see the road and other drivers to see you. Our headlight light restoration service will not only get your headlamps looking new again, it will make you safer on the road. Is the black or gray plastic trim on your vehicle looking dull, faded, or oxidized? With special dyes we can return your trim to a factory sheen that won’t wash off and will last for years. Turn back the clock on your exterior with our trim restoration service. If your carpet is faded or has stains that can’t be extracted, we can help. Our technician can bring back the color and hide stains with specially formulated carpet dye at a fraction of the cost of replacement.